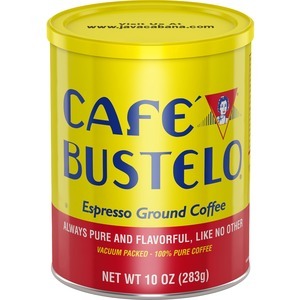 Cafe Bustelo Espresso Blend Coffee is dark, pure and flavorful. This bold, rich, dark-roasted blend is made from world's finest, hand-selected coffee bean and roasted to a deep, dark and rich color that delivers the unmistakenly bold rich taste in your cup time after time. No special equipment is required. Just scoop into coffeemaker like any other ground coffee.